Enjoy a cosy cottage stay, exploring the dramatic scenery of Devon's Jurassic Coast. Local activities include sailing, fishing and walking, and you're close to both Sidmouth & Lyme Regis. Your cottage sleeps up to 4 adults and is fully equipped for self catering - perfect for a family or group of friends. Stoneleigh Village overlooks the historic Jurassic Coast - awarded World Heritage status and recognised as designated an Area of Oustanding Natural Beauty, thanks to its inspiring scenery and dramatic coastal pathways. 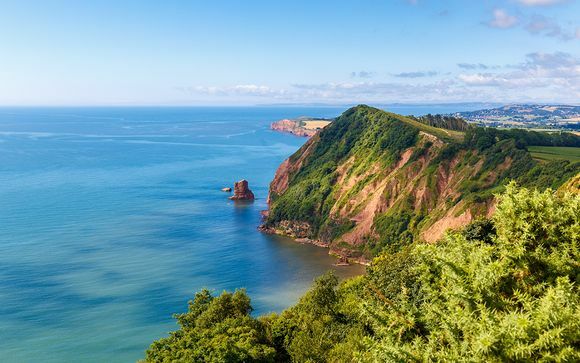 The glorious Devon coastline will take your breath away, and one of the best ways to enjoy Devon is on foot or on a boat! The staff at Stoneleigh Village can help you to organise local acrtivities such as sailing, yachting, fishing and hiking. Sidmouth (3.6 miles) - Beautiful gardens and leisurely walks, Regency history, clean beaches and friendly shops...it's all here in this lovely seaside town. Beer (5.9 miles) - The picture-postcard village of Beer nestles in Lyme Bay, on the 95-mile long Jurassic Coast, England's first natural World Heritage Site. Lyme Regis (13 miles) - An ancient town featured in the Domesday Book, Lyme Regis is home to a number of historical landmarks and attraction, such as its famous Cobb that juts out into the sea. 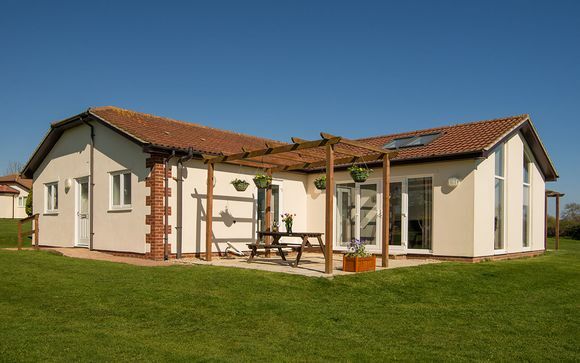 Stoneleigh Village is a collection of modern, self catering holiday homes on the beautiful Jurassic Coast in Devon. 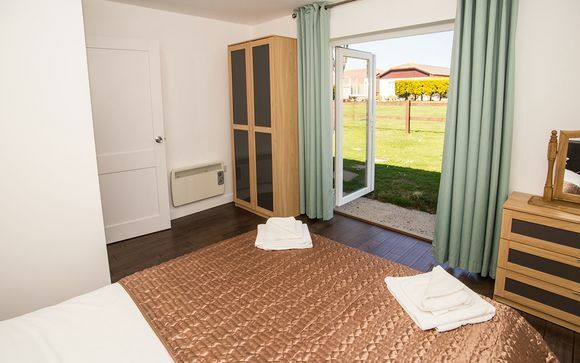 The cottages are spread out over a very large area, so each one feels private and homely. The extensive grounds boast views of the rolling Devonian countryside, famed for its outstanding natural beauty. Should you require any assistance during your stay, Stoneleigh Village staff are available on site 24 hours a day, 7 days a week. Furnished with a double bed, two bedside cabinets with lamps, wardrobe and chest of drawers. Bed linen is included. Cot (on request - no charge). Bed linen is included. Please note: Individual cottages at Stoneleigh Village vary in terms of layout and decor. Although the images and descriptions above reflect typical cottages at Stoneleigh Village, we cannot guarantee that the layout and decor of your cottage will be to these exact specifications. Bed linen is included, however towels are not. Each cottage provides a fully equipped kitchen and a spacious dining area so you can prepare and eat delicious home cooked meals.